Itel S13 is one of the best smartphones from Itel. For those who may not be aware, Itel s13 is the successor to the itel S12 device, which was unveiled during itel’s 10th year anniversary. There is a notable difference between the new S13 and its predecessor. This device comes with a bigger screen, a better resolution, better camera, and overall design which is smarter and modernized when compared to its predecessor. It seems to be a worthy upgrade going by what we see on the spec sheet. However, just like every Successors and predecessor, there are some huge similarities, and this similarity is the battery. They both have the same battery capacity, RAM and the same Quad-core processor. Just like expected, this smartphone is built for midrange user, and it’s not too costly, like Tecno or Infinix phones. Buying this phone will cost you a little. 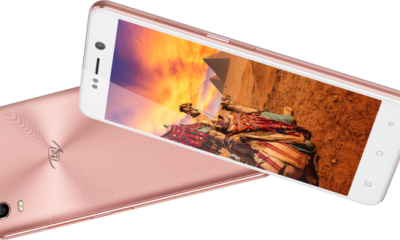 The Itel S13 price ranges from 28,000 naira to 30,000 naira (when converted to USD, is about 90 USD). The price of this device may be different in your region or country. You can also check for the availability of the device through Jumia store, Konga or go to the nearest phone dealers around you. The itel s13 is truly worth the price, considering the price and what it has to offer.